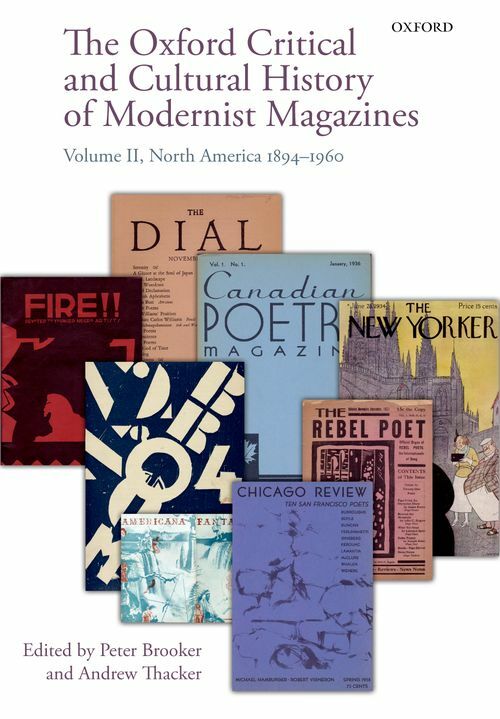 The second of three volumes charting the history of the Modernist Magazine in Britain, North America, and Europe, this collection offers the first comprehensive study of the wide and varied range of 'little magazines' which were so instrumental in introducing the new writing and ideas that came to constitute literary and cultural modernism. This book contains forty-four original essays on the role of periodicals in the United States and Canada. Over 120 magazines are discussed by expert contributors, completely reshaping our understanding of the construction and emergence of modernism. The chapters are organised into thirteen sections, each with a contextual introduction by the editors, and consider key themes in the landscape of North American modernism such as: 'free verse'; drama and criticism; regionalism; exiles in Europe; the Harlem Renaissance; and radical politics. In incisive critical essays we learn of familiar 'little magazines' such as Poetry, Others, transition, and The Little Review, as well as less well-known magazines such as Rogue, Palms, Harlem, and The Modern Quarterly. Of particular interest is the placing of 'little magazines' alongside pulps, slicks, and middlebrow magazines, demonstrating the rich and varied periodical field that constituted modernism in the United States and Canada. To return to the pages of these magazines returns us to a world where the material constraints of costs and anxieties over censorship and declining readerships ran alongside the excitement of a new poem or manifesto. This collection therefore confirms the value of magazine culture to the field of modernist studies; it provides a rich and hitherto under-examined resource which both brings to light the debate and dialogue out of which modernism evolved and helps us recover the vitality and potential of that earlier discussion. Peter Brooker is Emeritus Professor in the Department of Culture, Film and Media, the University of Nottingham. He has written widely on contemporary writing, theory, and film is the author of Bertolt Brecht: Dialectics, Poetry, Politics (1989), New York Fictions (1996), Modernity and Metropolis (2004), Bohemia in London (2004, 2007) and A Glossary of Cultural Theory (1999, 2002). He has co-edited The Geographies of Modernism (2005), and was Co-Director of the AHRC funded Modernist Magazine Project (2005-2010). Most recently he is co-editor of Vol.1 of The Oxford Critical and Cultural History of Modernist Magazines (2009) and of the Oxford Handbook of Modernisms (2010). He was a Professorial Fellow at the Centre for Modernist Studies at the University of Sussex (2008-10) and a Visiting Professor at the University of Birmingham (2009). He has served since 2005 as Chair of the Raymond Williams Society. ; Andrew Thacker is currently Professor of Twentieth Century Literature and Director of the Centre for Textual Studies at De Montfort University, Leicester. He co-founded the Northern Modernism seminar and is an editor of the journal Literature & History. He has published widely upon modernism, including Moving Through Modernity: Space and Geography in Modernism (2003), The Imagist Poets (2011), and the co-edited Oxford Handbook of Modernisms (2010). He is currently Chair of the British Association for Modernist Studies.